Twitter Automation: What does it really mean? Today, there is no doubt that marketing automation tools are gaining more and more space in our lives, especially among marketers and business owners who spend a lot of time every day managing social media and are always looking for tools that can help them manage the brand’s digital activity effectively. However, the first thing to emphasize when discussing automation is that the fact you can automate something doesn’t mean it’s a good idea. It’s important to always add value to your followers and build a true connection with people who are relevant to you. As part of that, it’s important to post quality content for your followers, but how do you continuously create interesting content that will keep your followers engaged? Our goal at Commun.it is to build the easiest tool for marketers, bloggers, small business owners, and for anyone who wants to grow their social community. Today – we made that a whole lot easier. Commun.it is excited to announce our Twitter automation feature, and one of our favorites: a new campaign that finds and shares top articles for you, based on topics that interest you and your audience. We want to help you grow your following on social media, and it all starts with getting your own posts out there! I’m sure this sounds a bit too good to be true: You just need to choose the topics and we’ll share 2-5 quality articles for you per day? Yes, that’s exactly how it works. Scroll down and click on ‘continue‘ blue button. You’re all set – Sit back and watch your engagements grow! If this isn’t enough for you… Fine, you’re probably ready for the next level: our premium users can manually review posts (Recommended for business) and edit the description of the tweet related to the article, which can increase clicks and engage followers significantly! Remember using Twitter automation is great ONLY if you do it right and create real value for your followers. Be consistent – make sure that you have 3-4 articles to publish every day/week. Keep an eye out for what duration works best for your followers. Check engagement – see which topics get more engagement and learn what keeps your audience engaged. Try to occasionally switch topics to identify new opportunities. Be involved– when your audience reacts – respond back – don’t leave them hanging. Create content by yourself – When you understand what your audience wants to read – start creating your own content! For premium users – USE YOUR POWER! Add something personal – Replace the default text with your personal opinion on the article. Increase exposure – use relevant hashtags to increase the exposure for a tweet. Ask a question – One of the best ways to get engagement from your followers is to ask them what they think – turn them on. 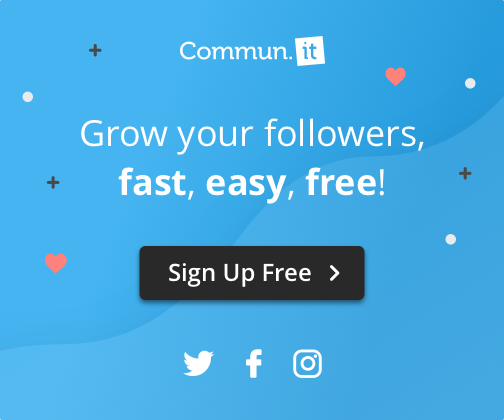 Commun.it schedules these articles at the Best Time for you to reach the most people, and the best time for you to get the most engagement from your followers without ever being on Twitter! Our content sharing campaign is meant to help you save time while helping you grow your community organically. Sary Espina (@soysaryR) activated the Share top Content feature this week, and you can see her first post below. Without lifting a finger her first post got over 60 retweets! We hope we can help you do the same and even more – Let us know!